Valentine’s Day is not an easy event to negotiate for any gentleman with a special somebody in his life. At those flirtatious early stages: “how much is too much?”. For long term couples, what can you give that will really surprise her? And that’s before you’ve even stopped to consider what her favourite flowers are, whether she’s vegan and opposed to leather or what her clothing size is. This New Zealand brand is making a global name for itself, specialising in lingerie designed by women, for women, with a strong body positive ethos. Meticulously made and available in a plethora of covetable style and shades, there’s a perfect set in their online store for beauties of all types. Trust us, she’ll love it. 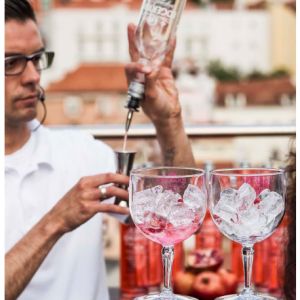 For a less “heavy” gift, this delicious, botanically infused gin tastes heavenly and comes in the season’s feminine and flirty colour palette. A fun, light-hearted gift for gin lovers, this tipple tastes wonderful with tonic, lime and a dash of sugar syrup. 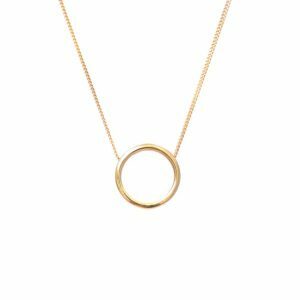 Jewellery your beau can wear again and again – and treasure – is always a thoughtful option, but if you’re not completely confident about your amore’s taste in accessories, this halo necklace is the perfect pick. Simple enough to look lovely with any outfit as a modern statement piece, but long enough for layering with a busier look, this “eternity” symbolising piece is a solid choice she’ll almost certainly love. Are you treating your “other half” to something special this Valentine’s Day? What’s the worst and best Valentine’s gift you’ve ever received? Share your stories and your selections with other loved up readers below.